What can VADAAR do for you? VADAAR gives you the critical information you need, when and where you need it, by allowing you to stream, record, and review, video, audio, and data to anywhere in the world from any device. All within a light and upgradeable software framework that uses your existing computer network, eliminating the need for additional hardware. VADAAR enables you to stream your video, audio and data content, to anywhere in the world. With no limits on how far your signal can be sent, no resolution limits and no requirement for additional hardware, VADAAR can scale to the most advanced requirements. Training and simulation is now more complex and detailed than ever, with more data, more users and an endless expanse of scenarios. VADAAR removes complexity and provides a framework that allows you to record, stream and review all of your content, it gives you the control where it matters most. VADAAR records seamlessly across all your devices, at any resolution, in sync. With access to recordings from any device and any session VADAAR is an invaluable tool for your after action review. It gives you the ability to see what happened, how it happened and when it happened. VADAAR helps you share relevant information with the people who need it most. By combining your video, audio, and data streams into one seamless interface, you get to capture every aspect. 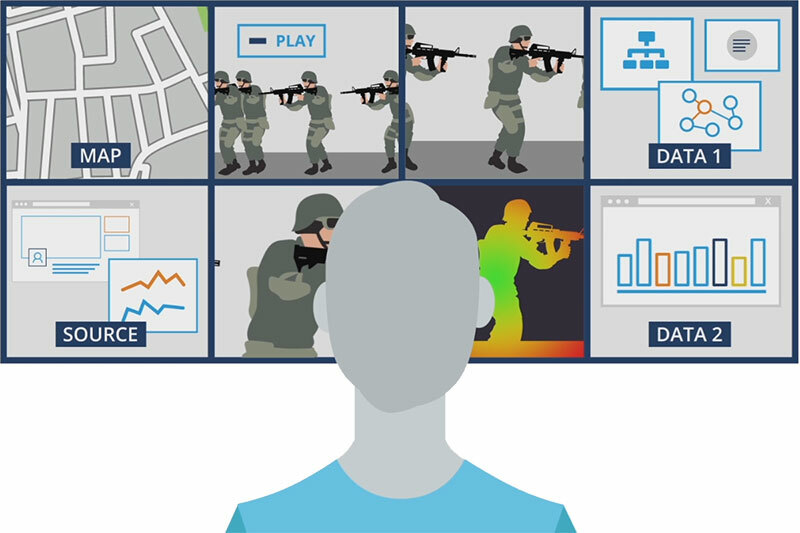 VADAAR provides a simple, powerful way to control your video, audio and data streams. It enables you become more productive and efficient. So when you are in the simulation environment, you can focus on what really matters. When you purchase VADAAR you become part of the team. We offer advanced support services whether you are a small or large customer. We’re with you at every stage of the process. Find out more about the VADAAR features that enable you to stay in control as well as the low technical requirements you will need to welcome VADAAR into your enterprise. Advanced connection framework at your fingertips. Real-time capture and encoding on any Windows computer (Vista, 7, 8/8.1, 10). Ability to capture at display resolution of computer. Ability to capture entire desktop (including spanned), individual displays, regions of displays, or specific windows. Ability to capture audio (Output in any format (Mono, Stereo, 5.1, 7.1, etc) or Microphone). Capability to extend Sender to ingest any 3rd party data source utilizing a C API. Data source could be anything (Heart rate monitor, pressure gauge, etc). Ability to zoom in on a captured region. Ability to adjust bandwidth, video quality and encoding options. Ability to adjust frame capture rate (fps). Ability to reduce noise in display to reduce bandwidth consumption. 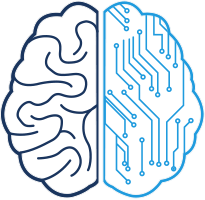 Ability to use on-chip encoding by NVIDIA where available. Supports for Unicast and Multicast streaming. Send content to any Viewer. 4K compatible with minimal CPU overhead. Less than 200ms latency from capture to display using 4K content. Support for RedHat Linux 6.2 (Beta). Compatible with Blend, Warp & SimVisuals for capture of undistorted views. Supports all display types (Monitors, Video Walls, Projectors). Ability to configure to see infinite number of streams (subject to PC specifications). Codec support for H264, AAC, u-law and MP4A-LATM. Ability to edit Viewer layout inside Central Control. Ability to add labels to any Source. Ability to display images (PNG, JPG) with alpha channel usage. Ability to rotate any input source. Ability to zoom-in to any input source. Ability to display borders around a input source. Ability to watermark a input source. Ability to adjust aspect ratio correctness of input source (Stretch, Zoom & Fit). Ability to stream RTSP IP Cameras using H264, AAC, u-law or MP4A-LATM. Ability to stream Hardware IP Encoders using H264, AAC, u-law or MP4A-LATM. Ability to synchronize multiple input sources to the same wall-clock for display. Ability to Pause/Resume/Seek any input source. Ability to save and recall Scene templates for displays. Ability to control Viewer using REST API. Ability to control Viewer using C API. Ability to record any RTSP H264, AAC, u-law, MP4A-LATM or Data (eg heart rate monitor, pressure gauge, etc) source to a standard MP4 file. Ability to playback any recorded file. Ability to play recorded files in Windows Media Player or VLC. Ability to load balance many DVR instances. Ability to utilize a Local Drive, Network Attached Storage or Share Folder for storage capabilities. Easy to use web interface for intuitive operation. Simple to set-up layouts of viewers and recorded streams. Integration with LDAP and Active Directory. Ability to control all devices using REST API. Ability to control all devices using C API. Ability to control all devices using web page (Chrome, Firefox, IE9+, iPhone & Android). Ability to discover compatible devices with zero configuration. Ability to stream recorded content to the web browser. Ability to preview live streams directly in the browser. Ability to bookmark times in recorded streams and attached a name and description. Network and Serial programmable interface. Integrate VADAAR into existing applications with the SDK. Built in HTTP RESTful based Web API that can be used to access many features. Extend VADAAR by creating custom Senders, Viewers or Controllers with the API. The power of using software over hardware. VADAAR is a group of different software components that make up a connection framework. VADAAR allows you to stream, record, and review, any video, audio, and data source, over any distance, using computer networks rather than traditional AV hardware. Sender enables your computer to stream video, audio, and data. Simply install Sender on to the computer you want to stream from and connect it to a Viewer. With very little performance overhead, you can be sure that Sender won’t impact any other running applications. Viewer, as the name suggests, lets you view your video, audio, and data streams. By using the Central Control interface you can configure Viewer to see an unlimited number of streams as well as customize the way they are displayed on your screen. DVR stands for Digital Video Recorder. 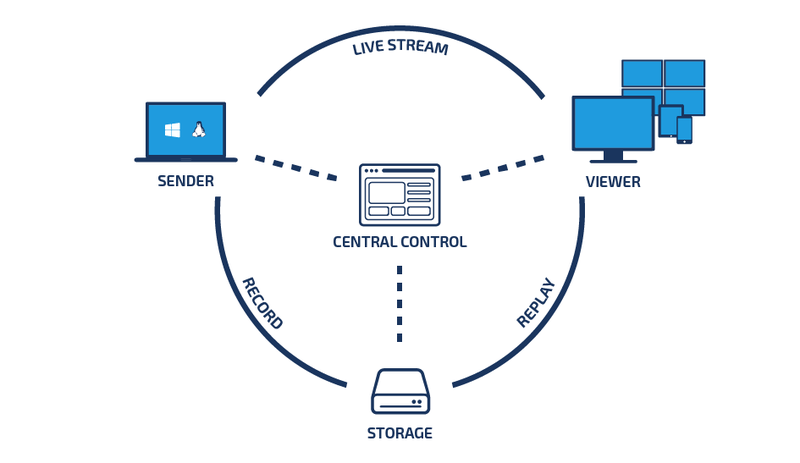 DVR provides support to the other VADAAR components running on your network and controls the ability to record, store, and play back streams. Central Control lets you manage and configure all the VADAAR components running on your network. It provides the server backend for the VADAAR API and offers a web interface that can be accessed from any modern browser, anywhere on the network.